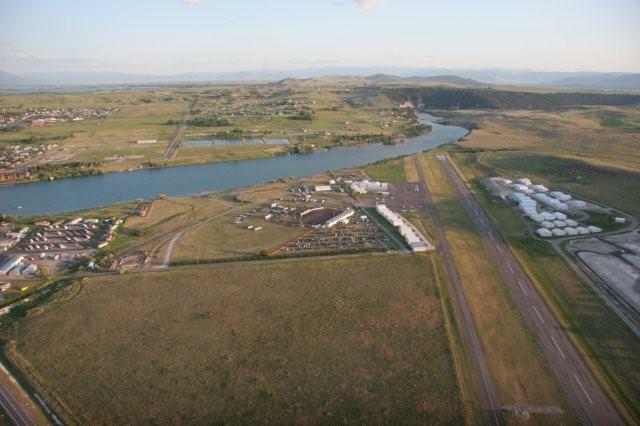 Polson Fairgrounds, Inc (PFI) was formed from a branch of the Polson Chamber of Commerce in 1984, when a group of volunteers devoted themselves to the preservation, maintaining and improving of the fairgrounds property. Originally, a portion of the fairgrounds was donated to Lake County in 1938, with the designation as a "public rodeo grounds" by Hilbert Hanson, a local business man. The other portion was purchased by Lake County with the help of county commissioners. At that time it was a much larger parcel of land that extended all of the way to the old bridge. Over the years, small pieces have been sold but improvements have been made to the remaining area. The improvements are much attributed to a man by the name of Les Baldwin. Baldwin was a rodeo enthusiast that wanted to build the needed facilities for a rodeo. In order to do this, he began gathering donations from local businesses around town and in 1939 a rodeo grounds began to take shape. With the help of many local citizens, a grandstand, corrals, bucking chutes, an arena, as well as, a race track were built. 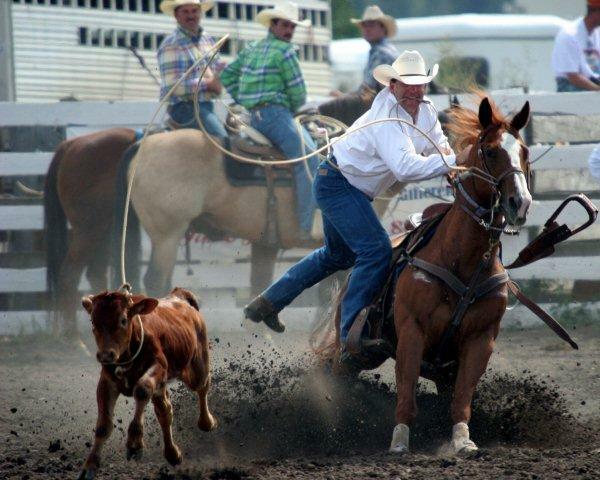 In 1940, the first "Polson Roundup" rodeo was held. At the time, the rodeo was on a RCA circuit that included Cheyenne Frontier Days, the Calgary Stampede and the Pendleton Roundup. Rodeo continued to be a large event for the area through the years with the devotion of Baldwin who passed in 1978. By 1984 the grounds had began to deteriorate and due to the Ronan Fair site being the main focus for the county, no money was funded to the grounds for repair. This is when local citizens stepped in and Polson Fairgrounds, Inc (PFI) was formed. PFI leased the property from the county and began the needed work to repair the grounds. With the help of fundraising and volunteers, the property has been self-supporting ever since. Stalls & Pens are available for those traveling and needing a place to stop overnight or for a length of time, other than when an event is taking place at the facility. Please contact Grounds Keepers for availability ahead of time if possible. 406-253-1267 or 406-261-8731. Grounds Keepers live on site and is fully fenced on the outside of the 40 acres. City water is available. Stall Rental is $10 per night, plus a $10 cleaning deposit. Deposit will be refunded when Grounds Keeper approves the stall is cleaned. Pens are available for rent also at $10 per horse, per night. No cleaning deposit required. Any livestock kept on the property will be charged $10 per night, including those who set up their own pens! Dogs MUST be kept on a leash at all times. This property lies within the Polson City Limits and local dog laws apply. If you are boarding your animals for the night, you are welcome to stay in your trailer/camper on site. Dry camping only, no hook-ups available.